Here we are friends, our last day of our Days of Possible mini ecourse. And this prompt is definitely one of my favourites, and one to grab with both hands as a good habit for 2016. I’m a big believer in creative dates. Whether alone or with a creative friend, booking in time to let your creativity soar and gather inspiration is so important for your wellbeing and overall productivity, no matter what you do. Get out from in front of a screen, go those places you’ve wanted to discover in your city and reboot your creative soul for a fresh burst of new year inspiration. Last year my family became members of the National Gallery of Victoria. Now we have regular family creative date of riding our bikes into the city, having a cup of tea in the member’s lounge and wandering the mind blowing spaces the gallery has to offer. But sometimes, I could just hide out at a bookshop for an hour or so, try a new recipe I’ve been coveting, take a long bath with a great novel, take a walk my camera, or finally make time to head to that place I’ve wanted to get to. 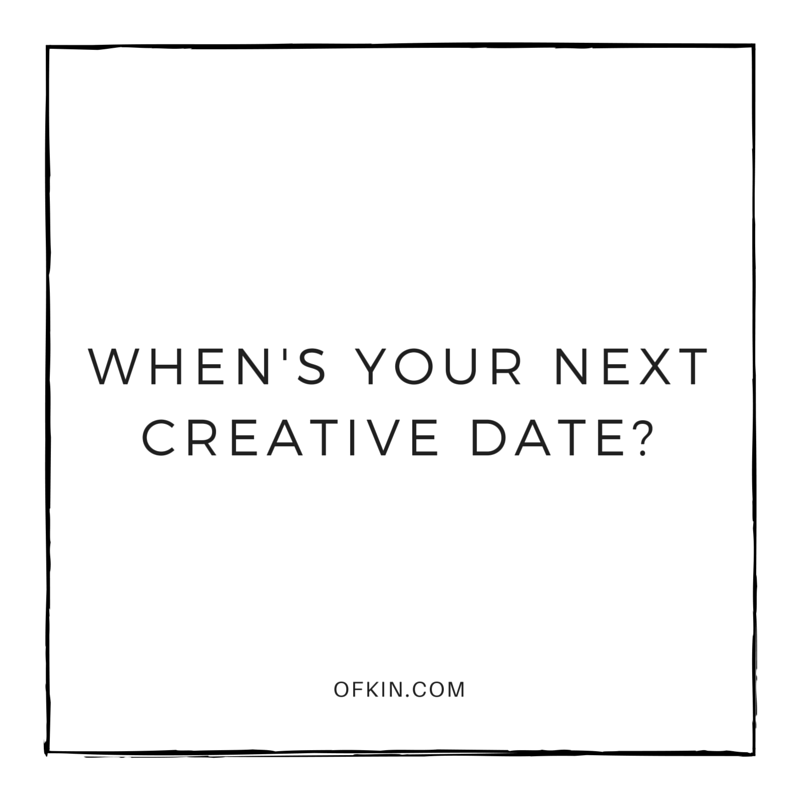 Creative dates have saved my sanity, filled up my well and allowed my mind to consider new possibilities (in fact, the idea for Days of Possible came on a drive to Lorne a few years ago… and now it’s slowly coming to life). 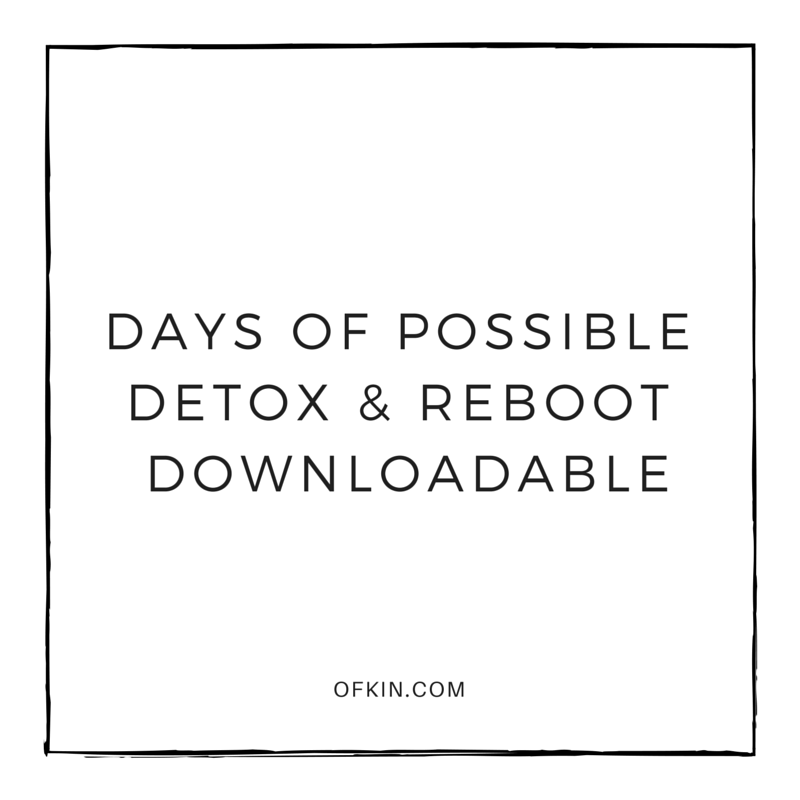 Let this downloadable inspire you to take time out really detox and reboot – to let your imagination fly, to try new things and to declutter your life – mentally and physically – to start your year (and continue onwards) with a fresh mind. Get planning, get doing and download yours below. I hope you’ve enjoyed this mini ecourse of five minute prompts. Feel free to leave a little message below to let me know what was the most helpful, enjoyable, insightful or provocative prompt during the course… and one thing that really surprised you along the way.